A Washington, D.C. man admitted in federal court last week he bought and sold dozens of guns illegally over the summer. Isaiah Green, 28, faces up to 10 years in prison after pleading guilty Nov. 19 to selling firearms without a license. Investigators said Green collected the weapons through a straw purchasing scheme with his then-girlfriend Jazmin Wilburn. Evidence recovered from their apartment on the city’s southeast side included five pistols, assorted ammunition and tools, according to court documents. Green began “taking orders” in June, eventually driving with Wilburn to dealers in northern Virginia to buy 31 guns over a month-long period. The couple then obliterated the serial numbers and sold the firearms for a profit to city residents. 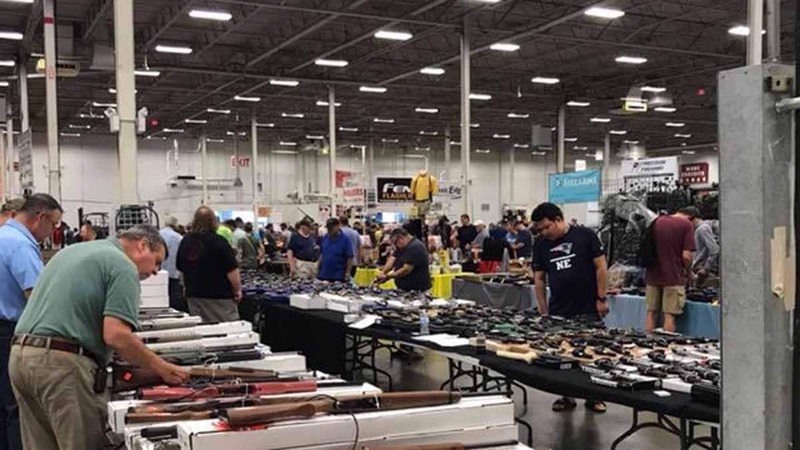 Federal investigators received a tip in July indicating Wilburn bought four firearms at the Dulles Gun Show with an envelope of cash provided by Green. Law enforcement arrested the couple later the same day, according to court documents. Wilburn told officers she bought the guns for Green because a prior domestic violence conviction prevented him from passing a background check. In a plea agreement filed in district court last week, defense attorneys recommended a prison sentence of 63 to 78 months. Sentencing is scheduled for Feb. 14, 2019, according to court records. Federal data suggests 2018 could be the Department of Justice’s busiest year ever in more than a decade for weapons prosecutions. Weapons prosecutions peaked at 11,000 in 2004 and dropped to less than 7,000 a decade later. Since 2014, however, TRAC data shows a gradual uptick in prosecutions, punctuated by a steep increase this year as the DOJ cracks down on gun-related crimes. D.C. Police Chief Peter Newsham told the Washington Post in July he believes illegal guns explain why the city’s murder rate increased more than 37 percent in the first half of 2018. He said officers seized more than 1,000 as of July 30.